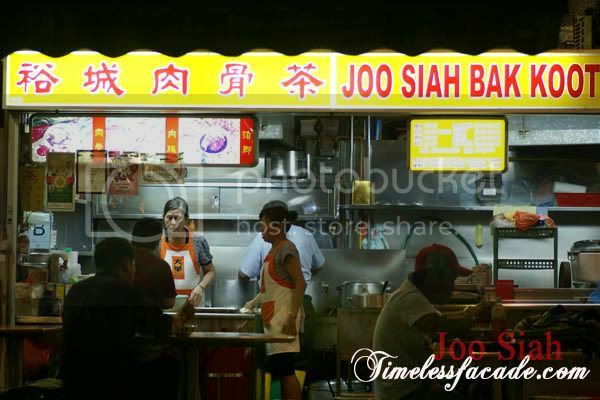 Hidden in a corner of a market in the western regions of Singapore is a small Bak Kut Teh gem, going by the name of Joo Siah. Set up by an engineer who was retrenched by his employer some 20 odd years ago and learnt his trade from his brother in law (who owns a popular bak kut teh stall in Sin Ming), Joo Siah has grown to operating out of 3 units in the market and sells close to 100kg of ribs each day - certainly no small feat. 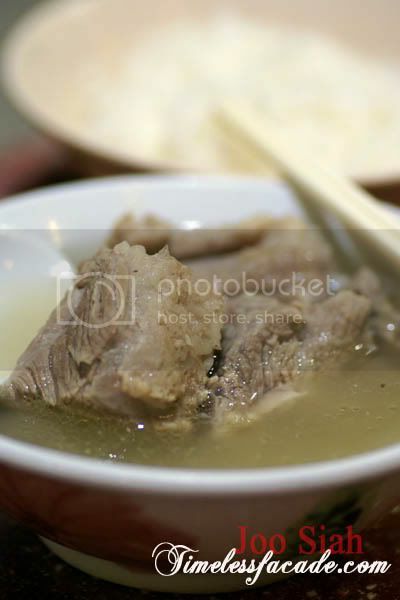 $4.50 gets you a bowl of steaming hot bak kut teh with 3 pieces of bak kut and a bowl of rice. I was initially aiming for the more expensive loin ribs but was promptly informed that those were only available in the morning. The dough fritters were sold out as well. Nonetheless, the meat on the ribs were tender and moist, soaking in the goodness of the extremely peppery soup that was flavourful and light on the palate. I did think that the amount of pepper was an overkill though, almost numbing my senses and overwhelming the inherent bak kut taste. Overall a good eat and I'll definitely be back.